What do you have your husband saved as in your contact list? My husband is nearly a foot taller than me (I’m quite tiny!) and he is much larger and stronger than I am. He has eyes that change color from a faint green gold color to a pale or deep blue; no matter what color they are, they sparkle when he smiles. Oh, and when he smiles the right side of his mouth lifts slightly faster than than the other side. Needless to say he is charming, and did I mention strong? Texting your hubby is nothing new, but sometimes texting “I love you,” and “I miss you,” don’t quite lift up your man like you would like them too. Sometimes you might decide to text flirt with your spouse but you’re stumped for words. It’s hard to come up with sweet text messages for the one you love on the spot! Can You Make Him Blush? I don’t know about you, but I get a whole lot of joy out of uplifting my husband. I especially love it when I text him something that completely surprises him (and maybe even makes his day)! I hope you try a few these and enjoy seeing and reading his reactions. It could be something new for you two to look forward to! One other tip though, make sure that you mean what you text. If you are at a hard place in your marriage or an awkward place, and you don’t feel these mushy gushy feelings that I’ve plastered up there, then tone it done a bit. Start somewhere, even if it’s just “I truly hope you have a good day,” or “I’m going to pray for you today.” See where it goes! But always, always, truly mean the words you include in your sms love notes to your hunk! & For The Guys Out There! I can’t speak for all wives out there, but I certainly love occasional praise, frequent gratitude and a pleasant text flirtation with my husband. Here are ten text ideas you hubbies can send to your wives! Go ahead husbands! Send those sweet love notes and flirts to your darling wife! See what text messages can do to spice up your marriage! UPDATE: We’ve now posted 15 different Texting Your Spouse ideas! And these are a few great Christian resources on marriage! Lol, thanks Marie! It is definitely one of my favorite ways to support my hubby throughout his day! It’s surprising how the little things count, and this is a great example. Great suggestions, and I will definitely try a few out on my hunk. Stopping by from the No Rules Weekend blog hop. Suzanne, thank you for stopping by. I hope the ones you try charm him and make his day! Great ideas Shirley! When my hubby & I have flirtatious texts it is a lot of fun. And yes, there are times when those feelings are not so easy. Choosing to love, and be loving, anyway can be a way to show grace in tough times. 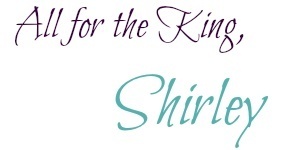 Hi Shirley – Thanks so much for sharing with the Let’s Get Real party. I’m pinning this to our group board. I normally always send loving texts but last week was hectic while he was away on business and I forgot to send him anything encouraging for three days. He sent me a text saying he was sorry and I asked for what. He told me that whatever he did to upset me and he knew it must have been something cause all I sent messages about was the house. When he got home we talked about it and that my messages kept him going through out the day. Made me feel great to know that my messages helped him. Natasha, I’m so happy to hear this! Not every hubby is able to show their appreciation, but I think ‘encouraging’ is a huge part of a wife’s calling! My husband often doesn’t respond to the texts because he is very busy and drives a lot, but he usually tells me how much he enjoys receiving them. It’s such a small thing to offer our men! Thanks for coming by! Kathryn, I’m glad you enjoyed the list. Feel free to comment with any additional ideas you have (and are willing to share!) I’m always on the hunt for new encouragements for my hubby. 🙂 Thanks again! We are so thrilled you visited! (And can’t wait till you come back!) I’m always cooking up sweet things to say to him or flirty or funny things, so I may share some more text ideas in the future! Thanks for stopping by! Awww so sweet! I will borrow some of these for sure. Glad to hear it Kristina! Thanks for stopping by! I love these! I always need ideas like this! Glad you stopped by! Happy texting! This is clever. It is always good to have ways to remind you man that you love him. Sophia, I agree! I’m always on the hunt for new ideas to love on him. 🙂 Thanks for stopping by! I frequently send “just because” texts to my husband. This list is a fabulous way to mix up the flirting! What sweet examples for hubby texting! Thanks Jill! Glad you liked these ideas! Thanks for hosting Thoughtful Spot! Thanks. This is just what I was looking for. Blessings!